Are you ready to experience the luxury of a Mercedes-Benz, but buying doesn’t appeal to you? 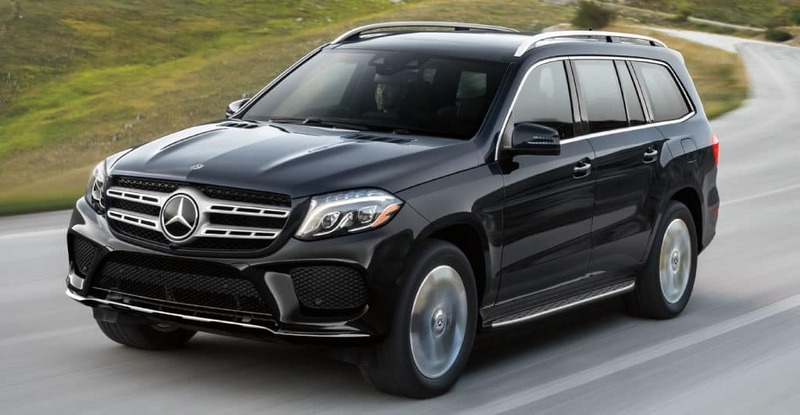 Our newest Mercedes-Benz lease specials make it easy and enjoyable for Ewa Beach, Waipahu and all Hawaii drivers to shop for a brand-new luxury car or SUV at a reasonable rate. We offer great lease specials on popular vehicles from Mercedes-Benz, such as the C-Class, E-Class, GLA, and GLC. *Available only to qualified customers at Mercedes-Benz of Honolulu through Mercedes-Benz Financial Services. Advertised lease rate based on 36 months, 7500 miles per year, and an MSRP of $35,545 with a gross capitalized cost of $35,545. Includes destination charge. Excludes title, taxes, registration, license fees, insurance, dealer prep, and additional options. Total monthly payments with tax equal $13,155.84. Total due at signing equals $5,610.52 which includes $3,166.12 capitalized cost reduction, first month's payment of $349 plus tax, sales tax of $16.44, a license/registration fee of $332.48, a $1095 acquisition fee, and a $349 documentation fee. Total payments equal $20,416.95. Subject to credit approval. No security deposit required. Stock #M1893. See dealer for details. *Available only to qualified customers at Mercedes-Benz of Honolulu through Mercedes-Benz Financial Services. Advertised lease rate based on 36 months, 7500 miles per year, and a MSRP of $36,395 with a gross capitalized cost of $36,395 Includes destination charge. Excludes title, taxes, registration, license fees, insurance, dealer prep, and additional options. Total monthly payments with tax equal $14,286.96. Total due at signing equals $5,929.42 which includes $3,436.49 capitalized cost reduction, first month's payment of $379, sales tax of $17.86, a license/registration fee of $369.75, a $1095 acquisition fee, and a $349 documentation fee. Total payments equal $20,216.32. Subject to credit approval. No security deposit required. Stock #ML2200. See dealer for details. *Available only to qualified customers at Mercedes-Benz of Honolulu through Mercedes-Benz Financial Services. Advertised lease rate based on 36 months, 7500 miles per year, and a MSRP of $44,965 with a gross capitalized cost of $44,965. Includes destination charge. Excludes title, taxes, registration, license fees, insurance, dealer prep, and additional options. Total monthly payments with tax equal $16,171.56. Total due at signing equals $6,344.29 which includes $3,771.82 capitalized cost reduction, first month's payment of $429, sales tax of $20.21, a license/registration fee of $381.13, a $1095 acquisition fee, and a $349 documentation fee. Total payments equal $22,515.85 Subject to credit approval. No security deposit required. Stock # M1783. See dealer for details. *Available only to qualified customers at Mercedes-Benz of Honolulu through Mercedes-Benz Financial Services. Advertised lease rate based on 36 months, 7,500 miles per year, and a MSRP of $42,595 with a gross capitalized cost of $42,595 Includes destination charge. Excludes title, taxes, registration, license fees, insurance, dealer prep, and additional options. Total monthly payments with tax equal $18,048.98 Total due at signing equals $7,004.54 which includes $4,316.31 capitalized cost reduction, first month's payment of $479, sales tax of $22.57, a license/registration fee of $369.75, a $1095 acquisition fee, and a $349 documentation fee. Total payments equal $25,061.10. Subject to credit approval. No security deposit required. Stock # ML2199. See dealer for details. *Available only to qualified customers at Mercedes-Benz of Honolulu through Mercedes-Benz Financial Services. Advertised lease rate based on 36 months, 7,500 miles per year, and a MSRP of $56,565 with a gross capitalized cost of $52,105 Includes destination charge. Excludes title, taxes, registration, license fees, insurance, dealer prep, and additional options. Total monthly payments with tax equal $19,187.20 Total due at signing equals $9,555.13 which includes $6,657.07 capitalized cost reduction, first month's payment of $509, sales tax of $23.98, a license/registration fee of $487, a $1095 acquisition fee, and a $399 documentation fee. Total payments equal $28,742.33. Subject to credit approval. No security deposit required. Stock # ML2067. See dealer for details. *Available only to qualified customers at Mercedes-Benz of Honolulu through Mercedes-Benz Financial Services. Advertised lease rate based on 36 months, 7500 miles per year, and a MSRP of $55,765 with a gross capitalized cost of $55,765. Includes destination charge. Excludes title, taxes, registration, license fees, insurance, dealer prep, and additional options. Total monthly payments with tax equal $22,203. Total due at signing equals $8,995.67 which includes $6,117.15 capitalized cost reduction, first month's payment of $589, sales tax of $27.75, a license/registration fee of $409.13, a $1095 acquisition fee, and a $349 documentation fee. Total payments equal $31,198.67. Subject to credit approval. No security deposit required. Stock # M1615. See dealer for details. *Available only to qualified customers at Mercedes-Benz of Honolulu through Mercedes-Benz Financial Services. Advertised lease rate based on 36 months, 7,500 miles per year, and a MSRP of $77,335 with a gross capitalized cost of $77,375. Includes destination charge. Excludes title, taxes, registration, license fees, insurance, dealer prep, and additional options. Total monthly payments with tax equal $31,627.08. Total due at signing equals $12,771.34 which includes $9,332.37 capitalized cost reduction, first month's payment of $839, sales tax of $39.53, a license/registration fee of $556.30, a $1095 acquisition fee, and a $399 documentation fee. Total payments equal $44,398.42. Subject to credit approval. No security deposit required. Stock #ML2094. See dealer for details. *Available only to qualified customers at Mercedes-Benz of Honolulu through Mercedes-Benz Financial Services. Advertised lease rate based on 36 months, 7,500 miles per year, and a MSRP of $98,040 with a gross capitalized cost of $98,040. Includes destination charge. Excludes title, taxes, registration, license fees, insurance, dealer prep, and additional options. Total monthly payments with tax equal $44,821.08. Total due at signing equals $11,884.78 which includes $8,205.32 capitalized cost reduction, first month's payment of $1,189, sales tax of $56.03, a license/registration fee of $483.40, a $1095 acquisition fee, and a $349 documentation fee. Total payments equal $56,705.86 Subject to credit approval. No security deposit required. Stock #M1552. See dealer for details. *Available only to qualified customers at Mercedes-Benz of Honolulu through Mercedes-Benz Financial Services. Advertised lease rate based on 36 months, 7500 miles per year, and a MSRP of $35,145 with a gross capitalized cost of $32,579 Includes destination charge. Excludes title, taxes, registration, license fees, insurance, dealer prep, and additional options. Total monthly payments with tax equal $9,386.28 Total due at signing equals $5,995 which includes $3,972.68 capitalized cost reduction, first month's payment of $249, sales tax of $11.73, a license/registration fee of $10, a $1095 acquisition fee, and a $399 documentation fee. Total payments equal $15,120.55. Subject to credit approval. No security deposit required. Stock # M51142L. See dealer for details. **Available only to qualified customers at Mercedes-Benz of Honolulu through Mercedes-Benz Financial Services. Advertised lease rate based on 36 months, 7500 miles per year, and a MSRP of $35,145 with a gross capitalized cost of $34,649.73 Includes destination charge. Excludes title, taxes, registration, license fees, insurance, dealer prep, and additional options. Total monthly payments with tax equal $16,171.56 Total due at signing equals $0 which includes $0 capitalized cost reduction, first month's payment of $429, sales tax of $20.21, a license/registration fee of $10, a $1095 acquisition fee, and a $399 documentation fee. Total payments equal $16,171.56. Subject to credit approval. No security deposit required. Stock # M51142L. See dealer for details. *Available only to qualified customers at Mercedes-Benz of Honolulu through Mercedes-Benz Financial Services. Advertised lease rate based on 36 months, 7500 miles per year, and a MSRP of $36,395 with a gross capitalized cost of $34,282.38 Includes destination charge. Excludes title, taxes, registration, license fees, insurance, dealer prep, and additional options. Total monthly payments with tax equal $9,746.28. Total due at signing equals $7,995 which includes $5,882.68 capitalized cost reduction, first month's payment of $249, sales tax of $11.73, a license/registration fee of $10, a $1095 acquisition fee, and a $399 documentation fee. Total payments equal $17,741.28. Subject to credit approval. No security deposit required. Stock # ML5652L. See dealer for details. 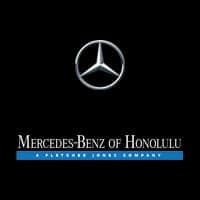 **Available only to qualified customers at Mercedes-Benz of Honolulu through Mercedes-Benz Financial Services. Advertised lease rate based on 36 months, 7500 miles per year, and a MSRP of $36,395 with a gross capitalized cost of $36,464.86 Includes destination charge. Excludes title, taxes, registration, license fees, insurance, dealer prep, and additional options. Total monthly payments with tax equal $18,056.52. Total due at signing equals $0 which includes $0 capitalized cost reduction, first month's payment of $479, sales tax of $22.57, a license/registration fee of $10, a $1095 acquisition fee, and a $399 documentation fee. Total payments equal $18,056.52. Subject to credit approval. No security deposit required. Stock # ML5652L. See dealer for details. *Available only to qualified customers at Mercedes-Benz of Honolulu through Mercedes-Benz Financial Services. Advertised lease rate based on 36 months, 7500 miles per year, and a MSRP of $43,995 with a gross capitalized cost of $40,607.96. Includes destination charge. Excludes title, taxes, registration, license fees, insurance, dealer prep, and additional options. Total monthly payments with tax equal $11,271.24. Total due at signing equals $7,995 which includes $5,832.68 capitalized cost reduction, first month's payment of $299, sales tax of $14.09, a license/registration fee of $10, a $1095 acquisition fee, and a $399 documentation fee. Total payments equal $18,460. Subject to credit approval. No security deposit required. Stock # M51148L. See dealer for details. **Available only to qualified customers at Mercedes-Benz of Honolulu through Mercedes-Benz Financial Services. Advertised lease rate based on 36 months, 7500 miles per year, and a MSRP of $43,995 with a gross capitalized cost of $41,751. Includes destination charge. Excludes title, taxes, registration, license fees, insurance, dealer prep, and additional options. Total monthly payments with tax equal $18,810.36. Total due at signing equals $0 which includes $0 capitalized cost reduction, first month's payment of $499, sales tax of $23.51, a license/registration fee of $10, a $1095 acquisition fee, and a $399 documentation fee. Total payments equal $18,810.36. Subject to credit approval. No security deposit required. Stock # M51148L. See dealer for details. *Available only to qualified customers at Mercedes-Benz of Honolulu through Mercedes-Benz Financial Services. Advertised lease rate based on 36 months, 7500 miles per year, and a MSRP of $44,335 with a gross capitalized cost of $39,757.66 Includes destination charge. Excludes title, taxes, registration, license fees, insurance, dealer prep, and additional options. Total monthly payments with tax equal $11,271.24. Total due at signing equals $8,995 which includes $6,787.68 capitalized cost reduction, first month's payment of $299, sales tax of $14.09, a license/registration fee of $10, a $1095 acquisition fee, and a $399 documentation fee. Total payments equal $20,266.24. Subject to credit approval. No security deposit required. Stock # ML5712L. See dealer for details. **Available only to qualified customers at Mercedes-Benz of Honolulu through Mercedes-Benz Financial Services. Advertised lease rate based on 36 months, 7500 miles per year, and a MSRP of $44,335 with a gross capitalized cost of $43,301.43 Includes destination charge. Excludes title, taxes, registration, license fees, insurance, dealer prep, and additional options. Total monthly payments with tax equal $22,579.92. Total due at signing equals $0 which includes $0 capitalized cost reduction, first month's payment of $599, sales tax of $28.22, a license/registration fee of $10, a $1095 acquisition fee, and a $399 documentation fee. Total payments equal $22,579.92 Subject to credit approval. No security deposit required. Stock # ML5712L. See dealer for details. Ready to secure your Mercedes-Benz lease? You can start by getting pre-approved online!